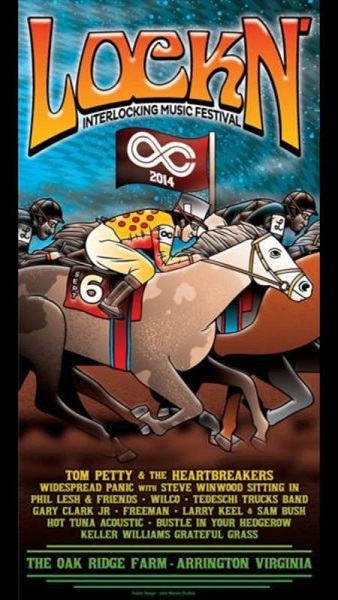 Poster By John Warner Studios for Lockn' Festival 2014. Headliner: Tom Petty and The Heartbreakers. Multiple band event. Arrington Virgina.